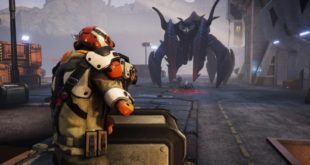 2K had its best year since 2008 in terms of revenue – both its WWE and NBA franchises have grown by 15 per cent, while franchises such as Civilization and XCOM have performed well digitally. In addition to the return of Guitar Hero, 2015 saw Activision continue to enjoy success from Destiny and its expansions, Call of Duty and Skylanders, both at retail and digitally. Bandai Namco’s 2015 was defined by The Witcher 3 and Project Cars, but Dragon Ball and Dark Souls 2 have performed above expectations, backed by PR and marketing. In 2015 Bethesda Softworks released Wolfenstein: The Old Blood, The Elder Scrolls Online: Tamriel Unlimited, Fallout Shelter, Fallout Anthology, Dishonored Definitive Edition and runaway hit Fallout 4. EA maintained market share on packaged goods at 23.3 per cent and secured four titles in the top 10 during calendar year 2015 – its top selling title FIFA 2016 generated 97 million in sales. 2015 saw the release of Gears of War Ultimate Edition, Forza Motorsport 6, Ori and the Blind Forest, in addition to new chapters of Halo 5: Guardians, Rise of the Tomb Raider and surprise success Rare Replay. 2015 culminated with Assassin’s Creed Syndicate, while the Rainbow 6 franchise made a return in Siege, both sitting alongside the likes of Just Dance 2016 and Grow Home. Last year saw WB Games achieve #1 UK chart positions for four titles and a #1 UK publisher ranking for 16 weeks of the year, from the likes of LEGO Dimensions, Batman: Arkham Knight, Mad Max and LEGO Jurassic World. Key 3DS releases included Xenoblade Chronicles, Monster Hunter 4 Ultimate and The Legend of Zelda: Majora’s Mask, while Wii U owners enjoyed Super Mario Maker and Splatoon. Last year Sony focussed on new IP such as Until Dawn, Bloodborne and PSN-only releases like Everybody’s Gone to the Rapture, totalling eight 1st party and 15 3rd party software releases. 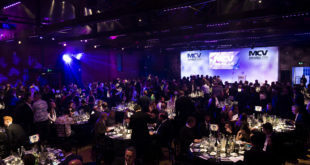 The MCV Awards 2016 takes place on March 3rd at the brand new Hilton Bankside Hotel in London,hosted by BBC funnyman Miles Jupp. 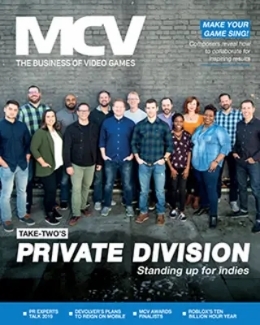 This year we have 83 companies competing for 23 prizes – You can view the finalists for the MCV Awards 2016right here. Tickets are available now. Platinum tables of ten cost 3,295, Gold tables are priced at 3,095 and Silver tables of ten are priced at 2,895. Individual tickets can be bought for 289. You can buy ticketshere. 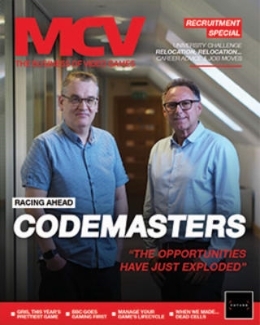 Sponsors of the MCV Awards 2016 include OPM Recruitment, Gamescom, Bridge Media, Playwire and Aardvark Swift, but a number of additional sponsorship opportunities are available. ContactLesley McDiarmidorConor Tallonto find out more. 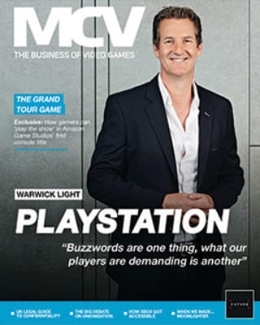 For more information about the MCV Awards 2016, visitwww.mcvawards.com.